Home » Gallery » Home support workers demonstrate against council cuts in their service – gathering public support by asking members of the public to sign the Unison petition letter. 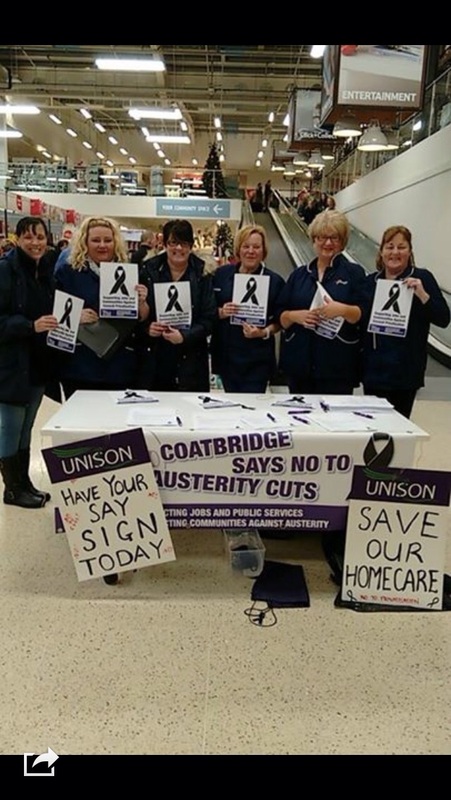 Home support workers demonstrate against council cuts in their service – gathering public support by asking members of the public to sign the Unison petition letter. Photos from local meeting in Motherwell and Tesco in Coatbridge.